Waiting On Shore. Rosses Point. Ireland. 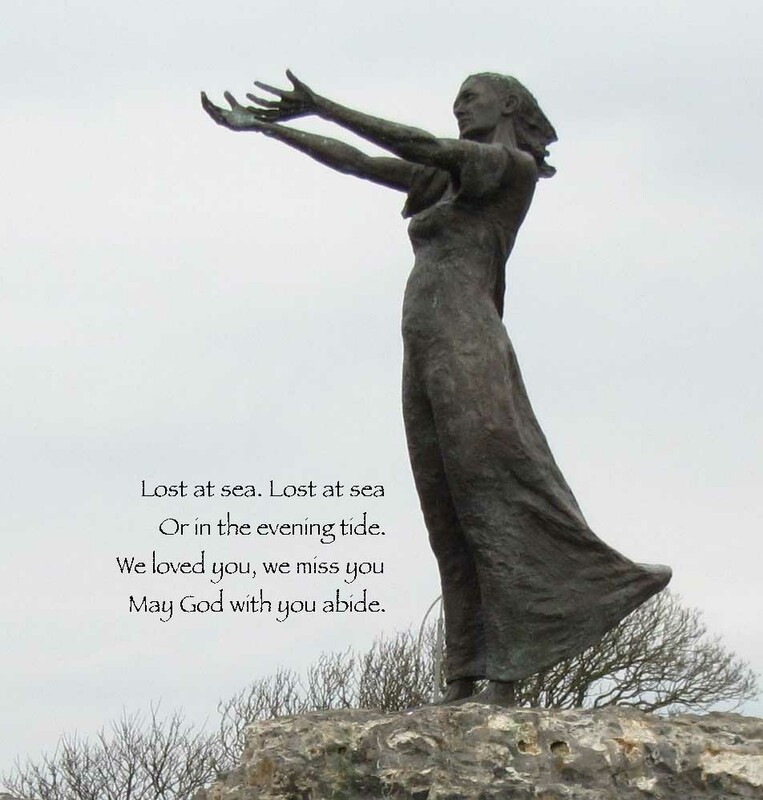 Reflecting the anguish of a seafaring people who watched and waited for the safe return of loved ones. A history of courage and survival, of loss and grief. That we shall remember. This statue and the famine graveyard gates pictured in yesterday’s post were designed and crafted by Donegal artist Niall Bruton. As is the way with so many Irish people the piper’s lament flows through his soul and his work. His jewelry is an articulation of Ireland’s very spirit: the liminal energy of shore and sea, light emerging through ancient carvings, seeds of cultural heritage carried on emigrant ocean waves. Three articulations that Niall created as rings I wear. Every day. That I shall remember.